If you are looking for a Jeep dealership in Marietta, GA come to Ed Voyles Jeep Marietta, GA. We have a wide array of new Jeep models in stock including the all new Jeep Compass, Cherokee, Grand Cherokee, Patriot, Wrangler, Wrangler Unlimited and Wrangler JK. 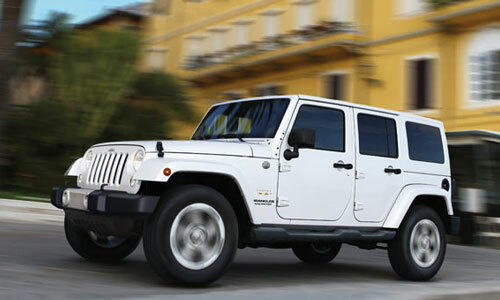 All of our Marietta Jeeps are available for test drives. Our auto financing team can help you take advantage of current Jeep dealer specials and manufacturer incentives so you are sure to get the very best price on a new Jeep. Our Used Car, Used SUVs and Used Truck inventory has many models from a variety of manufacturers including many certified pre-owned Jeep models. The Ed Voyles Jeep Financing & Leasing center is here to answer your auto finance questions and help you buy or lease a new Jeep, certified pre-owned Jeep or used car. Marietta Jeep owners can find expert Jeep Service, maintenance, repair, Jeep Parts and accessories in our Marietta auto service center. Bring your Jeep to us when it is time for an oil change, air filter replacement, wheel alignment or tune up. The friendly Jeep people at Ed Voyles will take excellent care of you and your vehicle at our Jeep dealership, Marietta, CA.